The Metropolitan King County Council is considering adding a February ballot measure endorsing safe injection sites, a response to an initiative on the same ballot that would ban the controversial approach. The Metropolitan King County Council is considering whether to add a measure on the February ballot that would create two safe drug-injection sites — the first locally and in the U.S. — in response to a competing proposal that would ban such locations countywide. The measure being considered by the council on Monday essentially gives voters a choice to reject Initiative 27, a proposed countywide ban already on the Feb. 13 ballot, and agree to the creation of two safe drug-injection sites for a three-year pilot program. Initiative 27 landed on the ballot after organizers of the Safe King County campaign secured more than 47,000 signatures from registered voters. Several King County cities — including Bellevue, Kent, Renton, Auburn and Federal Way — already have banned safe injection sites. The sites allow people suffering from heroin and opioid addiction to inject drugs under the supervision of medical professionals. The sites were recommended by the Heroin Prescription and Opiate Addiction Task Force, convened in 2016 by the county, Seattle and area suburban cities. The task force recommended one site in Seattle and the second at an undetermined King County location. New York, San Francisco, Philadelphia and other U.S. cities are also considering opening safe injection sites in response to the national heroin and opioid overdose crisis. 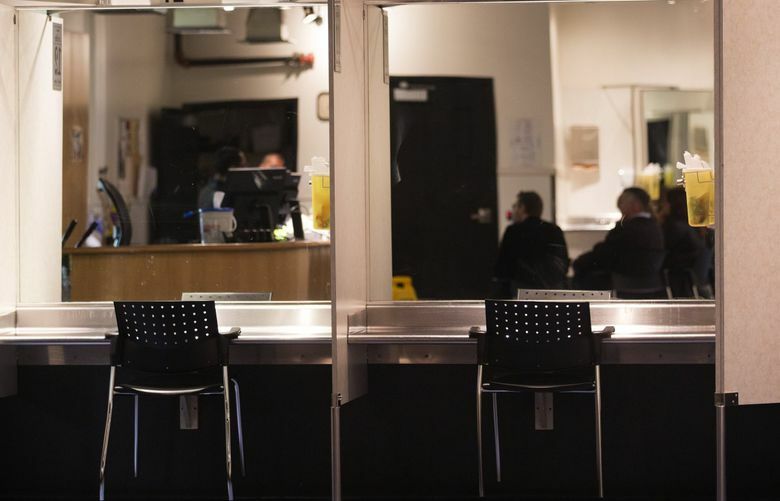 Vancouver, B.C., has had a safe injection site since 2003. “There’s evidence, with support from science, that these supervised drug- consumption sites work,” said Councilmember Jeanne Kohl-Welles, one of five County Council members who have endorsed the proposed counter-initiative. There were 219 opioid-involved deaths in the county last year — an overdose death almost every 36 hours, according to the proposed county ordinance. A simple majority of the nine-member council is needed to approve the measure and put it on the February ballot. However, before their council votes, their proposed measure could be rendered moot. A hearing in a lawsuit filed by the group Protect Public Health, which intends to block a public vote on Initiative 27, is scheduled at 10 a.m. Friday before King County Superior Court Judge Veronica Alicea-Galván.